The objectives of this standard1! are to set forth requirements for external-events probabilistic risk assessments ~PRAs! used to support riskinformed decisions for commercial light water reactor nuclear power plants and to prescribe a method for applying these requirements for specific applications. 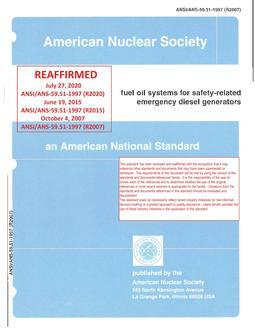 Additional or revised requirements may be needed for other reactor designs.